Moammar Gadhafi, the former Libyan dictator whose regime was toppled in August amid the Arab Spring, was killed on October 20 in his hometown of Surt. Writer Marc Herman was in Libya recently and reported for Miller-McCune.com on how the best the Libyan government can transition from a dictatorship to a democracy. 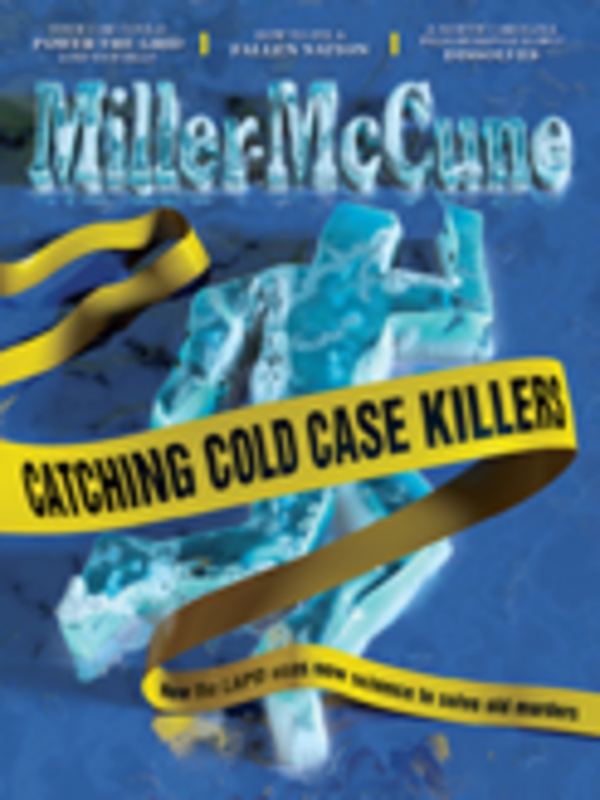 This is his full report, as it appears in the latest issue of Miller-McCune magazine. For much of this summer, few knew where Moammar Gadhafi had fled, but it was a good bet he wasn’t in Nalut. A town of 30,000 residents in Libya’s Western mountains, Nalut was among the first Libyan communities to revolt when anti-government protests began in February. But by late August, even with fighting still underway elsewhere in the country, the town has moved on to the nuts and bolts of democracy. We were speaking in the lounge of a former office of a foundation run by Saif Gadhafi, the dictator’s son. Anti-government forces had appropriated the office three months before, Azabi said, deciding by vote of a crowd, by voice, in a nearby plaza. “Will there be a mayor? Or a deliberative body?” I asked him. At the time, in August, the town was run by a council of 12 men. To choose them, an election of sorts had taken place, Azabi said. But it wasn’t clear who had nominated members for the new town council, and the election, it turned out, hadn’t involved any actual voting, or even ballots. The new political system in Libya will have to be created in each town, from whole cloth. And the people doing it will have no experience living in, much less building, a democracy. Oddly, no one seems able to tell them, either. Thanks to the roughly simultaneous emergence of modern political science with the rises and falls of Hitler, Mussolini, Stalin, Pinochet, the Argentine junta, Idi Amin, apartheid, Pol Pot, Mobutu Sese Seko, Suharto, Franco, Tojo, and, arguably, if not certainly, Tito, it’s pretty easy to find books on how dictatorships work. The literature on how democracy replaces them, however, is surprisingly thin. A landmark paper on how democratic transitions work — a kind of On theOrigin of Species for dictators — doesn’t exist. What is available certainly isn’t in the Nalut library. 1) Post-dictatorial transitions can prove to be just coups d’etat. Once the celebrations end, the new regime just starts acting like the old one, eliminating rivals and oppressing the people. Witness: the 1969 fall of Libya’s king to forces led by an obscure junior military officer, Moammar Gadhafi. 2) Transitions are high-stakes events. When they fail, humanitarian crises can result. See: Somalia. 3) What worked to make democracy stick in one place can go horribly wrong in another. Witness: the breakup of the Soviet Union. 4) Sometimes a foreign presence helps, even invasions in rare cases, but not consistently enough to recommend it. In Nalut, a banner in the main plaza reads “Thank you NATO You Saved Our Lives,” but virtually no one in Nalut has expressed a desire for foreign troops on the ground. Witness: Germany, Iraq, Cambodia. 5) Failed transitions have been so common and so expected, for so long that they are a mainstay of 20th-century entertainment. Witness: Duck Soup, Woody Allen’s Bananas, certain episodes of The West Wing, and various Russian comics. And meanwhile, history has moved on. 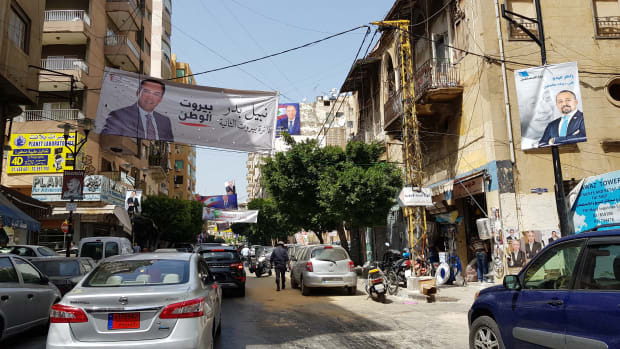 Within a few weeks of Tunisian strongman Zine El Abidine Ben Ali’s fall in January, the Egyptians, Bahrainis, and Moroccans were in the streets; Gabon and even China were visibly rumbling; and Libyans and Syrians were holding meetings in their basements. But there seemed to be few plans for what to do after they’d reached Tunis, Cairo, Damascus, and Tripoli. It was precisely that lack of hard information that had prompted two researchers, political scientists M. Steven Fish of University of California, Berkeley, and Georgetown’s Matthew Kroenig, to set out several years ago to identify the rare formula for a successful revolution. In 2009, working with data collected since 2005, the two claimed to have found it: a pattern that could predict a successful transition between dictatorship and democracy. It was, simply put, to have a post-revolution legislative body in place before holding national elections to put a single leader in power. In 2007, Fish (who had worked in Moscow during its transition) and Kroenig had measured how all the world’s federal governments divided power between their executive and legislative branches. When they looked at the data, they noticed something that had previously escaped researchers. Among recently post-dictatorial nations, those with greater balance of power between their legislatures and the rest of their governments were far more likely to become a stable democracy than those with big imbalances in power. That seemed fairly obvious, Fish allowed. And yet, it was also counterintuitive and contradicted most advice young democracies received about the need for quick elections and immediate replacement of the former regime. Their data, he argued, proved that the key to a successful transition from democracy was, curiously, not to hold an election—at least, not right away. Only Myanmar (Burma) scored a zero on Fish&apos;s scale, meaning legislatures have at least some power in virtually every country on Earth. That includes notorious dictatorships like North Korea. Other countries led by strongmen, including Cuba (.28) and Zimbabwe (.31), scored on the low-to-mid end of the scale, but did not make the bottom 10. However, in the tiny Himalayan kingdom of Bhutan, elected representatives hold less power than do representatives in famously centralized Communist China (.34). Nevertheless, Bhutan&apos;s citizens perennially appear in surveys as among the happiest people on Earth. “One of the most important predictors of a successful transition,” Fish said, “is how strong the legislature is when the dust settles.” Fish said he didn’t oppose elections, he just thought the priority after a revolution is first, to completely take apart the old constitution and rebuild it — this is the important part, he said — around a new legislature. Fast-forward two years: His advice for the Arab states undergoing transitions now is to delay the vote until the people are voting for legislators who can keep the next would-be dictator in line. This is more important, he argues, than recovering stolen money, rewriting corruption laws, hiring new judges, refunding the banks, everything. To reach this conclusion, Fish and Kroenig had needed to survey the entire world. Back in 2007, the two professors drew up a list of crucial political powers: the ability to appoint judges, spend money, write laws, negotiate treaties, and so forth. Then they recorded, for each of the world’s nations, which branch of government held those powers. Using that data, they gave each of the world’s countries a score expressed as a number between .00 and 1. The closer a country’s legislature scored to the number 1, the stronger its representatives were. When they looked at scores from states that recently have overthrown dictators and attempted to form a representative democracy, they saw that those with a better distribution of power had almost always done well after dictatorship. Today’s Serbia, after Milosevic’s ouster, is a good example, Fish said. Countries with lower scores, such as Russia, had tended to retrench. The ancient democracies of the Mediterranean in Greece, Macedonia and Turkey still rank among the countries most controlled by deliberative bodies today. But the most legislatively-oriented nations on Fish&apos;s list are former autocracies, many in former Soviet republics like Albania, Hungary and Poland (all rating .75). Ironically, at the top of the list are the two countries most associated with dictatorships in the 20th century: Germany and Italy. *Although turns out, the Latvian Parliament was dissolved in a referendum in July. For a complete list of Fish and Kroenig&apos;s Parliament Powers Index Scores, click here. Fish and Kroenig’s research proved, they believed, that the most important key to replacing a dictator was reducing the next leader’s power, before he or she takes office, and to make that the first priority of a new post-dictatorial nation. It has worked elsewhere, he said. “[President] Erdogan, in Turkey, is not a model of democratic sentiment,” said Fish. “And yet, he’s still responsible to a parliament, and he still lives in a residence that looks more like 10 Downing Street than like the palace in Zimbabwe.” Erdogan wants more power, Fish believes, and might not use it responsibly. Unlike cases like Russia’s Putin, or, ideally, whomever takes over Libya after Gadhafi, that excessive power will already be gone and in the hands of a few hundred legislators, who won’t be keen to give it up. They, in turn, will have to go to the governed for permissions—which makes it a democracy. The theory has some holes. Not every country seeks a democracy, and not every democracy is successful. Two glaring exceptions to Fish’s theory are the autocracies of Qatar and Singapore, perennial stars in economic and quality-of-life surveys. Both are tiny states with weak checks on executive power, and both scored very low on Fish’s scale-marks of autocracy. It’s not clear that either the people of Singapore or the people of Qatar prefer a legislatively driven democracy. Nor is every democracy a success, and certainly not economically secure. Greece, with one of the study’s highest scores, has the model of a strong legislature, but entered 2011 near financial collapse. A dysfunctional democracy doesn’t seem to fall under Fish’s theory any more than a functional autocracy does — his argument on the value of balance may only apply to places like Libya, which has just sloughed off a dictatorship and is clamoring for democracy. The research may also apply only to the small number of countries that actually undergo sudden transitions. In more stable governments, dictatorial or not, many of Fish’s results are predictable. The Supreme People’s Assembly of North Korea rated a weak .13 in the study. The People’s Assembly of Myanmar (Burma) scored a perfect .00—indicating that country’s parliament was utterly toothless. Saudi Arabia’s deliberative body, the Consultative Council, scored a .09, while another Persian Gulf state, Oman, only .16. In the two last cases, power sits with a king or sheik. At the other end of the spectrum, the parliaments of Italy, Mongolia, and Germany scored .84, which meant legislators, rather than the president, held most of those countries’ powers. Several nations, including Turkey and Macedonia, scored around .80. The United States scored .63 — the same as Portugal, South Africa, Jamaica, and Iraq. Across such a spectrum, it’s difficult to say which is the best model for Libya. Do Fish’s rankings matter if a country isn’t in the midst of a revolution? He believes so. Comparing Serbia’s strong legislature to Russia’s weak one may not tell Libyans the right course to take, but it can, Fish said, make a strong case to Libyans that dictatorship may not have left with Gadhafi. Gadhafi can leave the palace, but leave his power behind for the next strongman to pick up. That’s a danger for Libya, he said. And he claims his study proves it. In Nalut, Gadhafi’s imminent fall hovered over the long last week of August, effectively complete but not yet finished. No one could exhale. The revolutions of 2011 were spreading, clearly, but had also bogged down in places. And even for the Nalut people, the term Arab Spring had started to take on a whiff of sarcasm. On a television in the former offices of Saif Gadhafi, Al-Jazeera would break from scenes of celebration in Tripoli to scenes of horror in Damascus. Among the crowd of Nalutis watching the coverage, many of whom had just endured seven months of a dictator’s rockets, were men with bandages and missing limbs and women who had lost siblings — and they would flinch at the footage. Meanwhile, when the TV flashed to Egypt, it gave the Libyans a glimpse of their possible future: a place where the dictator was gone, but his military was still in power, and still feared. Egypt’s transition was hitting roadblocks; the country was faltering. In Nalut, Khaled Azabi watched the news from across the region. 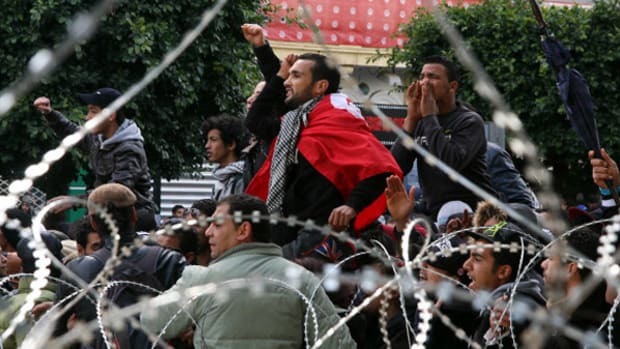 Across the border in Tunisia, police and demonstrators were fighting again. The same was happening in Egypt. In Libya, meanwhile, he had just been nominated for one of the posts on the 12-person Nalut city council. He turned it down. Ahmed Kurdi, the Tripoli engineer, was heading to Tunisia to bring back refugees, and he wondered out loud what would be happening a few days later when he returned. Political development was moving quickly in Libya, even while gunfire could still be heard in much of the country. “We meet already, yes. We talk about how we will make a government,” he said. He paid the gasman—1,800 percent over the prewar price. “How will you make a government?” I asked him. Khaled Azabi didn’t know either. But he knew who he wanted to replace Gadhafi: “No one.” He leaned back at his desk in the dictatorship’s old office. “Just ourselves now,” he said. "Pay no attention to the man behind the curtain!" shout embattled Middle Eastern potentates grasping for a second lease on life by playing the "Wag the Dog" card. Post-dictatorship Tunisia’s recent election for assembly benefited women and showed the power of technology.